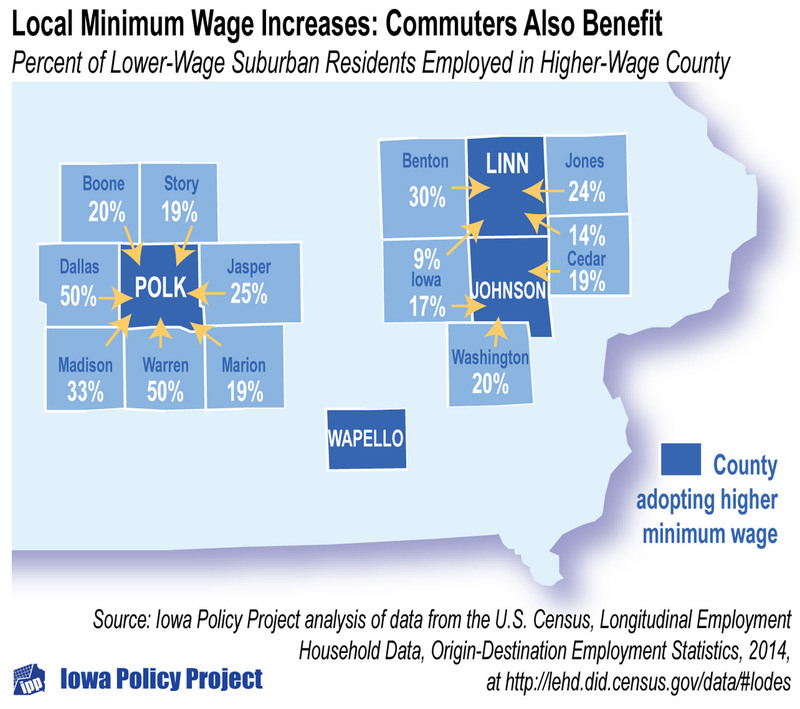 Legislation to end local minimum-wage increases in Iowa would guarantee different minimums in border communities as Iowa’s state minimum wage trails those of most neighboring states. 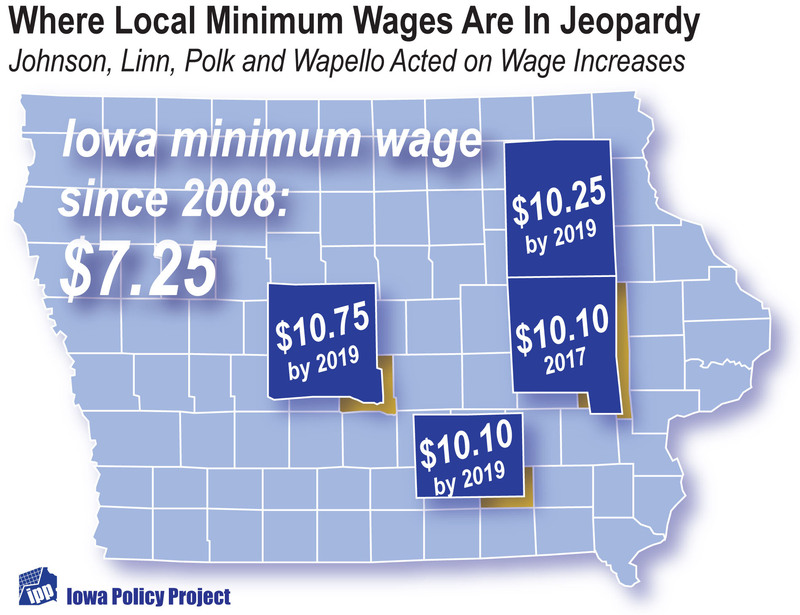 The state minimum wage in Iowa has been stuck at $7.25 for over nine years. But because of the actions of four county boards, a third of the private-sector workers in the state are now covered by a local minimum wage ordinance. About 65,000 workers in Polk, Linn and Johnson counties already benefit from an increase in their hourly wage to more than $10.00, or will in the next two years. Another 20,000 or more will benefit indirectly. But those wage gains would all be erased under a bill filed in the Iowa House, HSB92. That bill would nullify all of the county ordinances; in a single stroke, it would drive down the wages of about 85,000 Iowa workers. We know something about who those workers are. Over 40 percent work full time. Many are trying to raise a family on low wages. The vast majority are age 20 or over, and one in five are age 40 or above. They are more likely to be women than men. Many live in in poverty despite working full time. The average low-wage worker in Polk County who would be affected by the Polk minimum wage, which rises to $10.75 in 2019, could look forward to a raise of over $2,700 a year. But not if that bill becomes law. The beneficiaries of the county wage increases are not confined to the counties that passed them. Thousands of workers commute from surrounding counties, and they come home to spend those higher wages at local gas stations, restaurants, grocery stores and other retail shops. They hire local plumbers and builders and electricians. In all, at least 12 counties in addition to Polk, Linn and Johnson will see a substantial increase in resident incomes and local purchases as a result of those three county minimum wages. Nullifying the wage increases will harm local economies, not just low-wage workers. The bill goes beyond revoking the minimum wage laws passed recently by locally elected officials. It prevents any local elected body from enacting any ordinance in the future that is aimed at improving the lot of our low wage workforce. City councils and county boards would not be allowed to pass a law aimed at improving local wages, benefits, or sick leave policies, or reforming hiring or scheduling practices, regardless of how badly such measures are considered by elected officials to be needed, or how widely they are supported by local residents. While some have hoped the state would grandfather in existing local ordinances, and would raise the state minimum by some amount, they stand to be disappointed. The bill leaves the state minimum at $7.25. 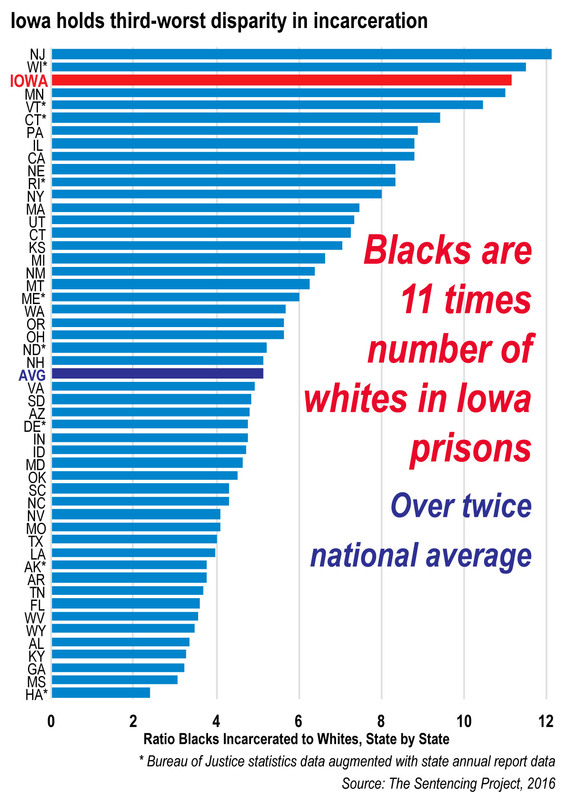 This despite 70 percent support in Iowa for raising the minimum. The bill reveals that the alleged concern over a “hodge-podge” of local ordinances was not the real issue. As we have argued elsewhere, the hodge-podge is a bogus argument. Labor markets are local, not statewide, and a local ordinance aimed at dealing with local market conditions makes sense. Nor is it plausible to argue that paying a different wage to different workers is a burden to businesses, who do that all the time. Ironically, the bill would actually mandate that the current hodge-podge of minimum wages that exists in all of our border metro labor markets must remain. 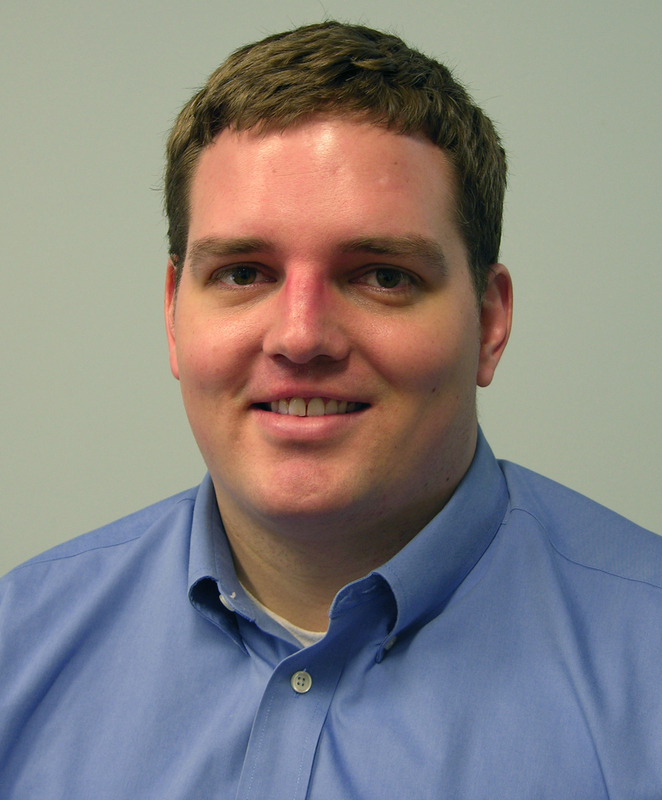 Quad City and Dubuque area businesses will still face an $8.25 minimum on the Illinois side. Council Bluffs and Sioux City businesses with employees on both sides of the river will still face $9.00 minimum wages in Nebraska. South Dakota’s minimum just went to $8.65, Missouri’s to $7.70. No increase in the minimum wage in an Iowa county to bring it into line with a bordering state will be allowed at the local level. This bill, in sum, would help to guarantee that Iowa will remain a low-wage state. These estimates are based on an analysis of data from the American Community Survey by the Economic Policy Institute. Iowa is one of 23 states receiving a children’s health program bonus for its performance in 2011. Iowa has made a huge effort in recent years to expand health insurance coverage to children. Those efforts are paying dividends to the newly covered children and their families, of course, but also to the state. The 2009 Children’s Health Insurance Program Reauthorization Act (CHIPRA) gave states new tools to make insuring kids easier. Many of these tools meant a reduced workload for state enrollment officials, and made it easier for families to obtain coverage for their children. CHIPRA also provided cash bonuses to states that implemented the tools and excelled in enrolling children in public health insurance programs. On Wednesday, the U.S. Department of Health and Human Services announced that Iowa is one of 23 states receiving a CHIPRA bonus for performance in 2011. Iowa is one of just five states to have implemented nearly all of the CHIPRA enrollment tools. Iowa’s $9.5 million bonus can be used to further improve enrollment and eligibility processes or to offset the cost of increased enrollment. In addition to streamlining the Medicaid and hawk–i (Healthy and Well Kids in Iowa — the state’s CHIP program) enrollment process, Iowa has also increased enrollment beyond a baseline level, further increasing the size of the bonus. In November 2011, more than 34,000 children were enrolled in hawk-i, with 248,000 enrolled in Medicaid, compared to 22,300 and 219,000, respectively, in July 2009, just months after CHIPRA passed. Undoubtedly, the effect of thousands of Iowa parents losing their jobs and health insurance has contributed to enrollment increases. Nonetheless, the tools CHIPRA made available, as well as Iowa’s implementation of many of them, made the process of enrolling kids in public health insurance programs less onerous for many parents at a time they most needed assistance. As we discuss and debate our fiscal future, proposals should be weighed by their effects on people, not with how well the line up with some ideological ideal. Hunger will probably be the last thing on our minds this Thursday, as we enjoy Thanksgiving feasts. But for thousands of our neighbors, hunger an everyday reality. Each year, the U.S. Department of Agriculture (USDA) measures food security in the United States. Food security is defined as having adequate food and nutrition at all times for a healthy and active lifestyle. An average of 12 percent, or 340,000 Iowans lacked adequate food and nutrition, or was food insecure, over a three-year period ending in 2010. This is certainly not a new problem, but it is one that is on the rise in recent years. Thousands of Iowans lost jobs or saw income drop as a result of the most recent recession. Food insecurity rates subsequently rose. But that number has been on the rise for much longer than just the past several years. In the mid-’90s, about 8 percent of Iowans were food insecure. By 2003, that figure had risen to 9.5 percent. By 2005, nearly 11 percent of Iowans were food insecure. Solutions for problems as complex as food insecurity are never obvious. One thing, however, is obvious: Cutting food assistance programs will not help. There’s an epidemic of budget-cut fever right now. Lost in the fiscal austerity discussions, however, are the effects such cuts would have on those who have been hardest hit by the recent recession, continuously rising food and fuel costs, and stagnant wages. While some food assistance programs like the Supplemental Food Assistance Program or SNAP (formerly Food Stamps) are safe — for now — from cuts, many others, including free and reduced-price school lunch, the Special Supplemental Nutrition Program for Women, Infants and Children (WIC) and the Emergency Food Assistance Program (TEFAP), which distributes nutritious fruits, vegetables, meat and poultry and other foods to food banks and pantries, are at risk of severe cuts. I recognize that I have so much for which to be thankful. The adoption of that standard by lawmakers would only make me more grateful. The new measure helps policymakers view the impact of public initiatives to alleviate poverty. Working-family tax credits and food assistance are among ways public policy lifts millions of Americans out of poverty. At the same time, continued high unemployment rates and low wages have put more and more Americans into poverty. Those are some of the inescapable conclusions from the Census Bureau’s latest information. In order to better capture what poverty means and how public programs help (or fail) to alleviate it, the Census Bureau devised a new poverty measure. The Supplemental Poverty Measure (SPM) does not replace the official poverty measure, which is used to determine eligibility for many public programs, but provides policymakers with another way of viewing the impact of public programs. The SPM measures what it costs to maintain a minimal standard of living using average costs of necessities: food, rent, clothing, utilities, etc. In addition, SPM also accounts for the increase in overall well-being individuals experience as a result of public programs. Those include the Supplemental Nutrition Assistance Program (SNAP, formerly known as Food Stamps), the Earned Income Tax Credit (EITC) and the Low Income Heating and Energy Assistance Program (LIHEAP), among others. It also accounts for the decrease in overall well-being an individual experiences through out-of-pocket medical costs, child care, child support, and other expenses. 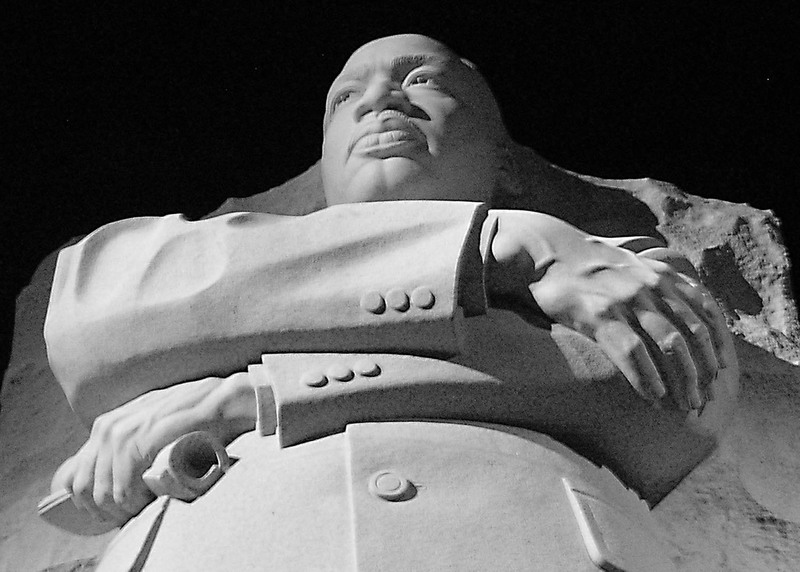 Using the SPM, 49 million Americans, or 16 percent experienced poverty in 2010. The official poverty measure shows about 46.6 million or 15.2 percent in poverty. Among seniors, the difference is even more drastic: The official measure found 3.5 million seniors, or 9 percent in poverty in 2010; the SPM found 6.2 million or 15.9 percent in poverty. Not all the results of the SPM are so grim, however. The SPM finds a lower rate of poverty among children than the official measure, 18.2 percent vs. 22.5 percent. As noted above, this is because the SPM accounts for the increase in income and living standard individuals experience when they benefit from public support programs. Additionally, the SPM illustrates the effect public programs have on reducing poverty. For instance, SNAP keeps 5.2 million people, including 973,000 children, out of poverty. The EITC prevents about 6 million people, more than 1.1 million of whom are kids, from living in poverty. On the other hand, medical out-of-pocket expenses, meaning everything from co-pays and deductibles to paying for medical services with cash or through debt, added about 10.1 million, or 3.3 percentage points, to the number of Americans in poverty. Successful problem-solving requires that first the problem be understood. The Supplemental Poverty Measure is an important new tool for policymakers in alleviating poverty.